Just regular folks. 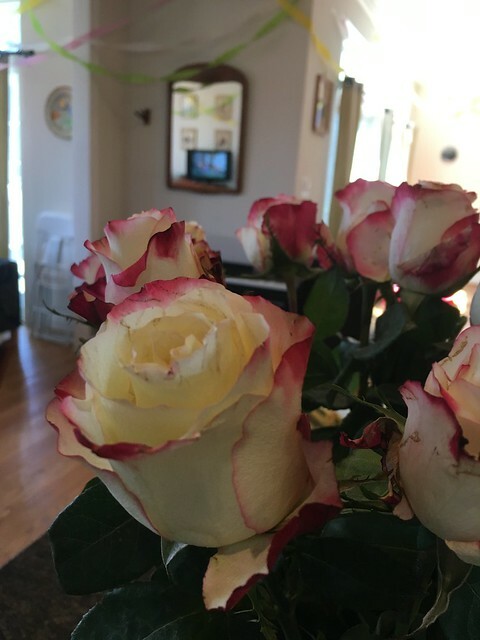 : Roses, quilting, Nat & Dara. 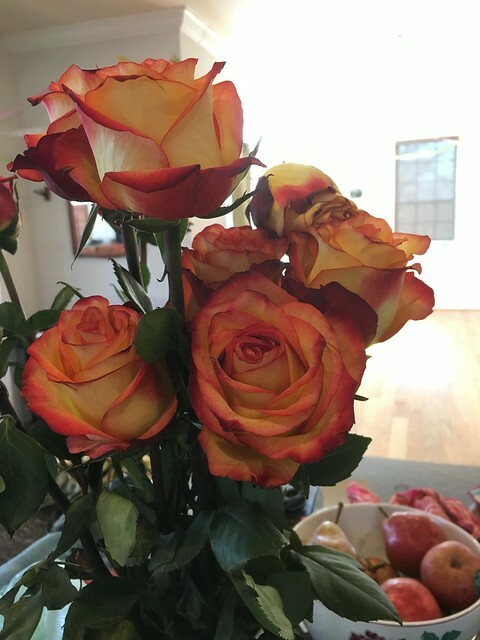 Edda had gotten two bouquets of roses for her birthday at her pancake breakfast and sometime during the week while we were away, I thought I should have given them to someone who could see them everyday because I thought by the time we got back, they would be wilted. But they were still quite happy when we walked into the house and we are enjoying them now. 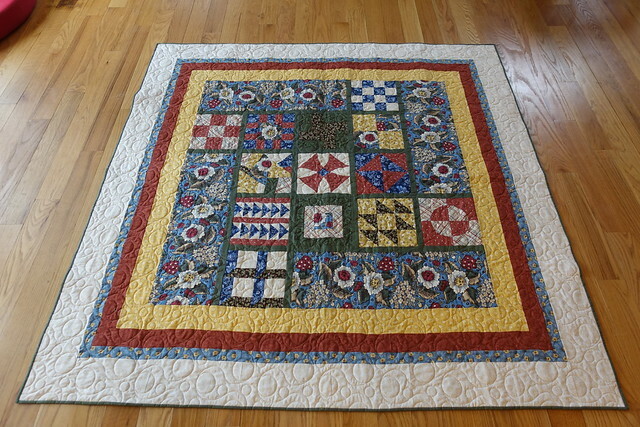 I have my fourth finished quilt - this one I did the edging myself which saved about $100 dollars on the quilting costs. I rather like this one, though I didn't think that I did when I was putting it together. This was not a pattern I chose myself, this is a pattern for the intro to quilting class I did last fall. 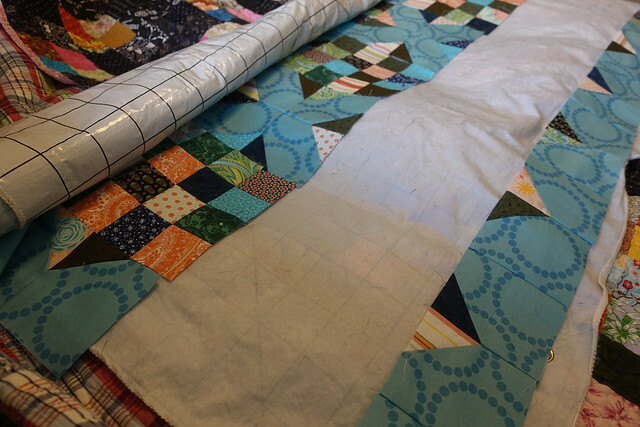 For the backing, I used all the scrap fabric I had from the front of the quilt. 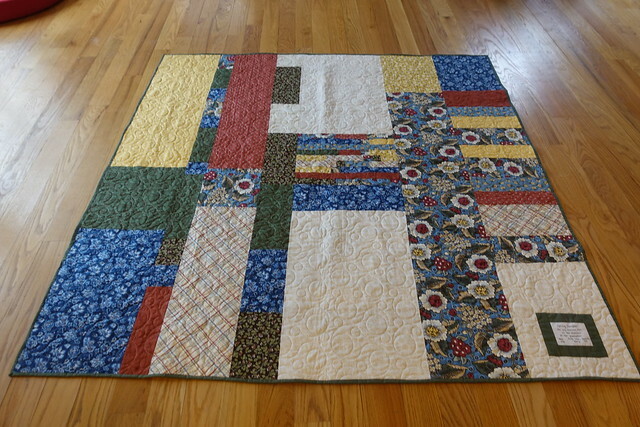 I spent a lot of time this weekend quilting. Jeremy went out on long bike rides both days. Edda and I hung out in her room. She was happily watching TV, I was quilting and listening to audiobooks. 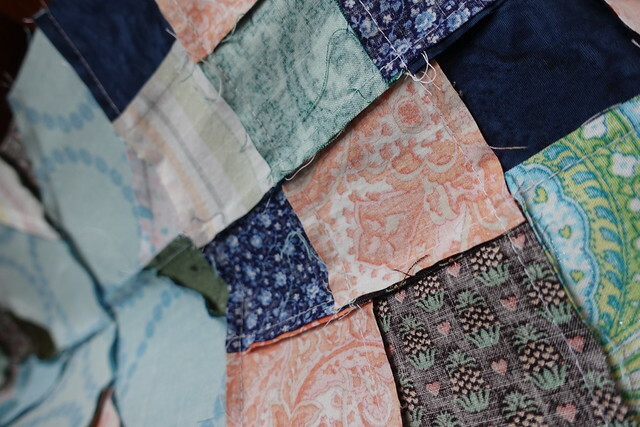 I find the combination of the audiobooks & quilting very satisfying and relaxing. Maxi kept us company quite a bit and I kept the laundry cycle going all weekend. 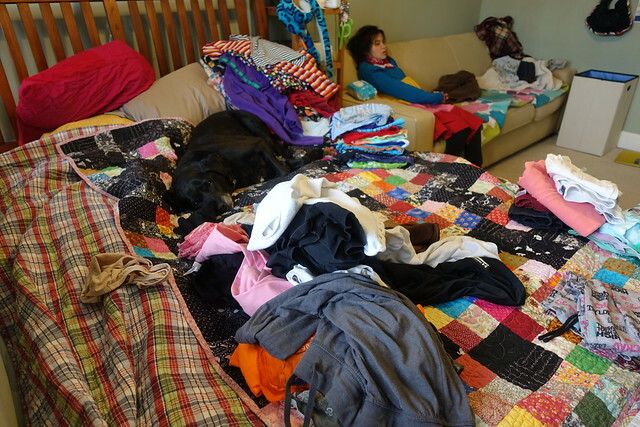 There is a lot of laundry after vacation. This was the scene from my quilting corner. 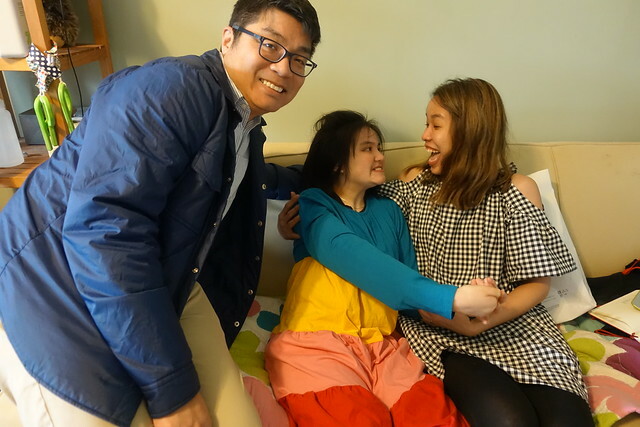 Nat & Dara surprised us on Easter morning! With gifts from Japan...thank you! We should have been showered, but we were not. Ohhhh Doris these are amazing quilts. Really beautiful.